This pamphlet is "for the Busy and the Tired." 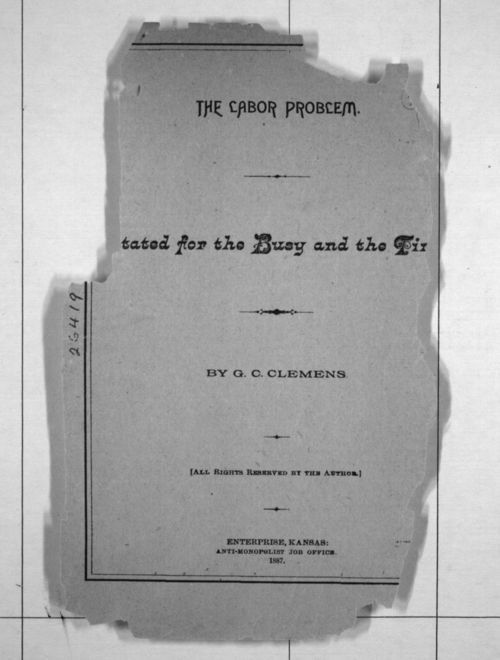 The author, G. C. Clemens, writes about the proverty that exists for most workers, including farmers. The original is extremely fragile and portions of the text are missing.